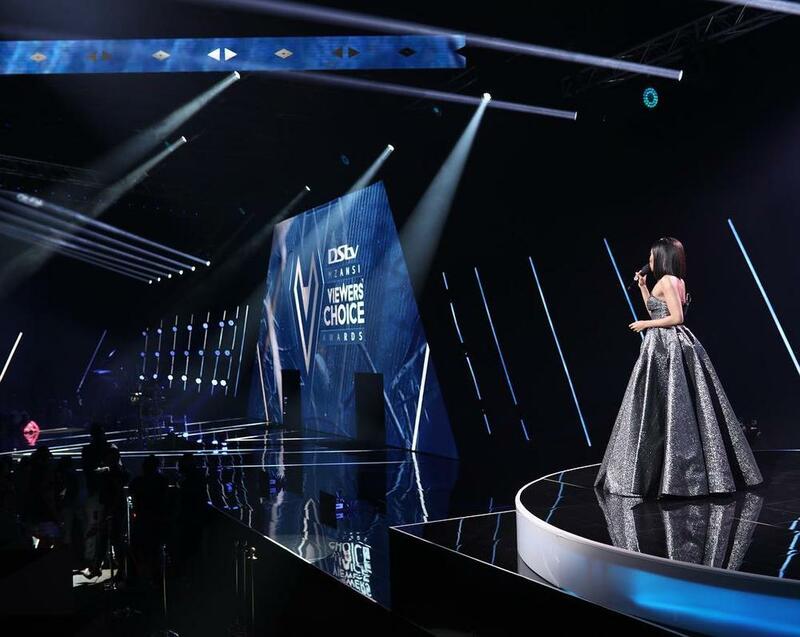 Host with the most Bonang Matheba looked five shades of fabulous yesterday as she hosted the Mzansi Viewers Choice Awards #DSTVMVCA at the Sandton Convention Centre, Johannesburg. 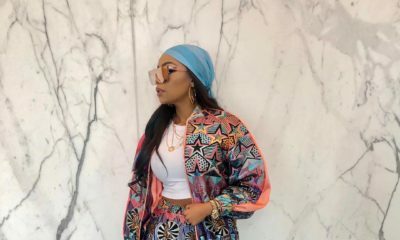 As if the theme of the night was glitter and glamour, all the guests in attendance were elegantly dressed and Bonang killed it as expected. For her first look, the 30-year-old looked radiant in a stunning red two piece from Harper’s PR private collection. To achieve an all red ensemble she paired the outfit with red thin strap sandals from Joyce Echols. 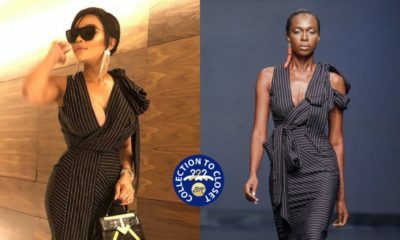 Bonang’s show stopping second look was a shimmering ball dress by bespoke womenswear designer Zeina Nabulsi. She complimented the strapless dress with a statement neck piece from Cynthia F. Crite. We were all green with envy over the media personality’s ethereal green dress. The dress, one of American designer, Michael Costello‘s signature pieces fit like a glove! Fiesty! 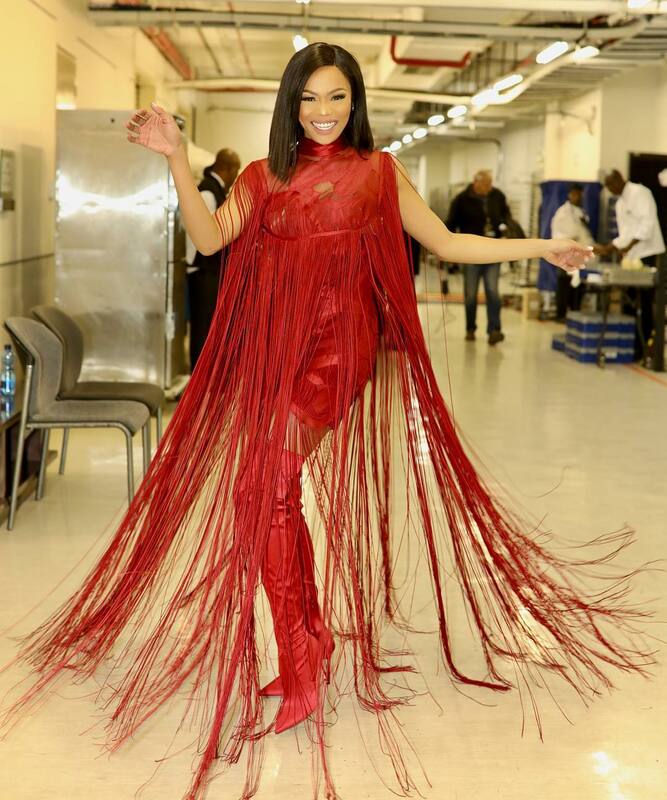 Bonang rocked an exaggerated tassel dress designed by Valdrin Sahiti and paired her look with red thigh high boots. For a final look to turn heads she wore a frothy white number from the designer John Paul Ataker, with sparkly white pumps. 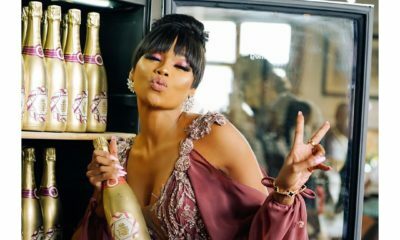 Bonang Matheba just expanded her Empire with a Luxury Champagne Brand… & the Launch was so Lit!